EVE Online :: March Release Is Live! We're delighted to announce that the March release is now live! The March release sees the introduction of the first part of Skills on Demand, with changes to skill pricing coming in a follow up patch later this week. As part of the fight against botting and RMT, this release also places all level 4 and 5 missions behind the requirement to have an Omega state account. 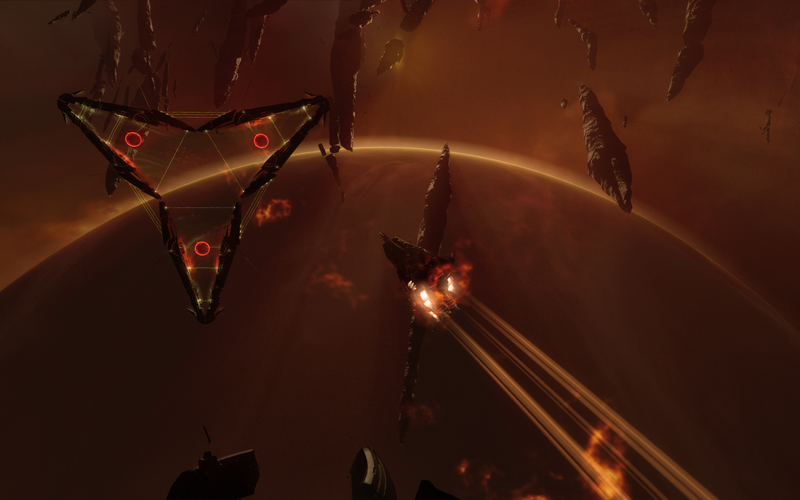 The March release also includes adjustments to nullsec anomaly respawn rates , as well as a massive list of fixes for audion and graphics, structures and EVE Online's user interface. Check out the patch notes and links below for more granular details on what's been deployed, and information on how you can provide feedback that continues to make New Eden a better place for everyone! You people ♥♥♥♥♥ like little girls. Eve is still the best space mmo, hands down. Welcome to show me a better one. Not everyone wants to hold hands and play make believe. Like, why play a multiplayer game if not for pvp? All of you are weak af and you'll get no sympathy from me. I'm glad you're leaving. Less whining and ♥♥♥♥♥ing the rest of us have to deal with. I'm sure ccp will really miss you guys too. I mean, for everything that you've done for them, you know. Your game is officially dead, hope you are out of your job soon too. Audion? Wow, you guys cant even write press releases that aren't riddled with errors anymore. Seems like the CCP way though, I'm sure you will be quick with a text patch. Oh btw, I played your game for almost 8 years and loved it, your recent updates have driven me and others like me away and I'll never come back :( Sad, you don't care about your clients or what they actually want.